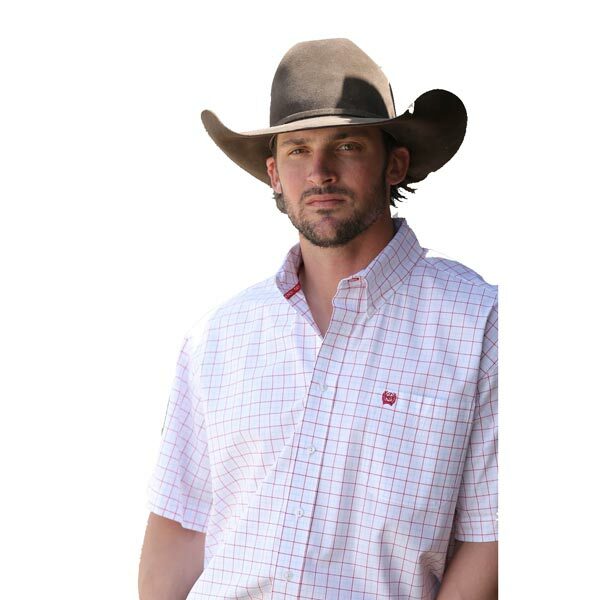 If it’s just too hot for a long-sleeve shirt, grab this cotton short-sleeve button down men’s western shirt from Cinch! The same quality, style, and comfort goes into their short-sleeve shirts as their long-sleeve shirts, and you’ll definitely be a fan of this simple and classy shirt, so don’t hesitate to pick one up today! It’s perfect for the hot and humid summer months, and you’ll still look great even in the heat – don’t let anything slow you down or stop you from leading the competition or doing top-notch work.